When will be I, Witness next episode air date? Is I, Witness renewed or cancelled? Where to countdown I, Witness air dates? Is I, Witness worth watching? One interview. One voice. The whole story. 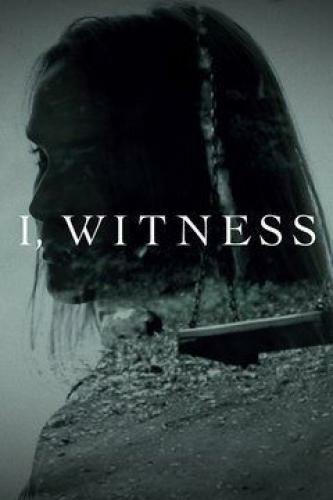 I, Witness showcases real-life murder investigations as seen through the eyes of one individual. But their point of view and the story they tell isn't necessarily the one you might expect. After the mysterious disappearance of her teenage brother, Lacresha Stanton launches a relentless investigation to extricate the truth from his tightlipped circle of supposed friends. After Kenneth Cloud is shot outside a restaurant as his wife looks on, Detective Bill Martin goes down a path of lonely hearts and polygamous drifters to nail the shooter. Just after Christmas, Carol Bushard's adopted son, Andy Bushard, mysteriously disappears. When police fail to act, Carol and her husband blaze their own investigative trail through the criminal back woods of a California mountain town. The thrilling account of Cheryl Pierson, with a new perspective from one who was there: her boyfriend and future husband, Rob Cuccio. When Rob discovers the Pierson family's darkest secret, this unique perspective begs the question, how far are you willing to go for the person you love? I, Witness next episode air date provides TVMaze for you. EpisoDate.com is your TV show guide to Countdown I, Witness Episode Air Dates and to stay in touch with I, Witness next episode Air Date and your others favorite TV Shows. Add the shows you like to a "Watchlist" and let the site take it from there.